Bigfork’s Echo Lake with the magnificent snow capped Swan Range in the background. Echo Lake is one of those fun smaller lakes (and warmest in the valley) that is big enough to water ski on, but small enough to know your neighbors. Echo Lake is located northeast of the village of Bigfork, MT at the foot of the Swan Mountain Range at an elevation of around 2,998 feet. It is about a ten minute drive away from the village of Bigfork on paved roads. A good sized State of Montana boat launch is located on the north side for public access. 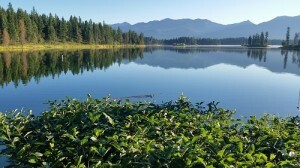 Echo Lake is about 695 acres in surface area and is considered the warmest lake for swimming in the Flathead Valley. The wandering, lightly wooded shoreline boasts of upscale homes and rustic cabins and would be considered relatively developed real estate. There is generally only a handful of homes or property for sale at any one time. A typical lake property on Echo is about 100 feet wide. 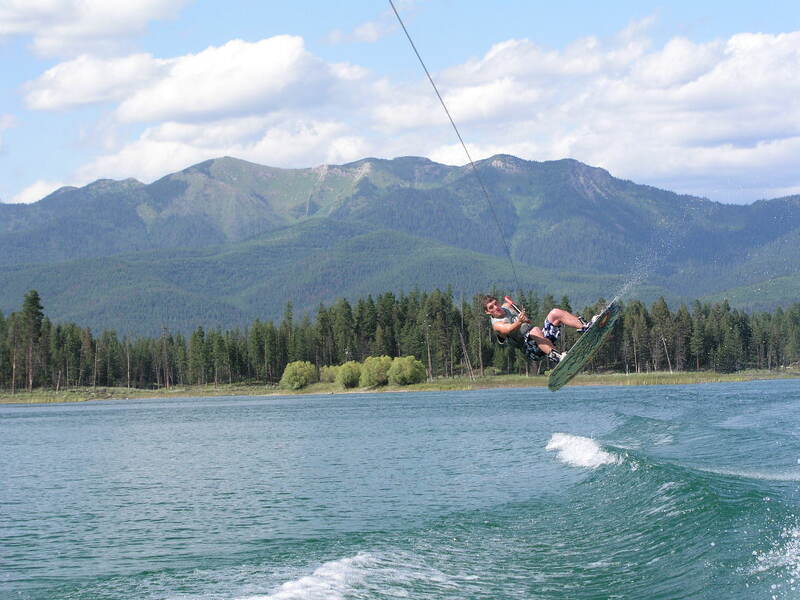 A wake boarder launches on Echo Lake. Morning reflections on Echo Lake. Whitefish, Largemouth Bass, Northern Pike, Rainbow Trout and Yellow Perch. 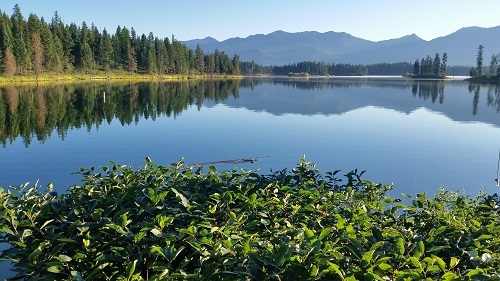 Montana Fish Wildlife and Parks has additional information on their website about Echo Lake and its boating & fishing access site. Connected to Echo Lake via a seasonal channel is smaller Abbot Lake. There are only a very few homesites on this quaint small lake. From Abbot Lake, through an even narrower channel, is Peterson Lake. Scott, Kellie and Dane live on or by Echo Lake. They feel pretty lucky to have secured their spot on Echo as there is rarely any volume of property or homes for sale – So, you have to grab them when you can. Many are passed on to family, or friends and neighbors hear about them first and they are gone. If you don’t find what you are looking for please call The Hollinger Team and we will keep a look out for you. Lastly, here is a map of all the real estate sales on Echo Lake, Peterson Lake and Abbot Lake done through The Hollinger Team over the years. When you need expert guidance with your real estate transaction, call us! A note about State Lease Property on Echo Lake …. On the north shore there are properties you’ll find for sale that have really low prices in comparison to other lakefront home. Why the huge difference? These are “State-Leased” homesites where you don’t own the land, the State of Montana does. The purchase price is for only the improvements on the property, like a cabin or outbuilding. 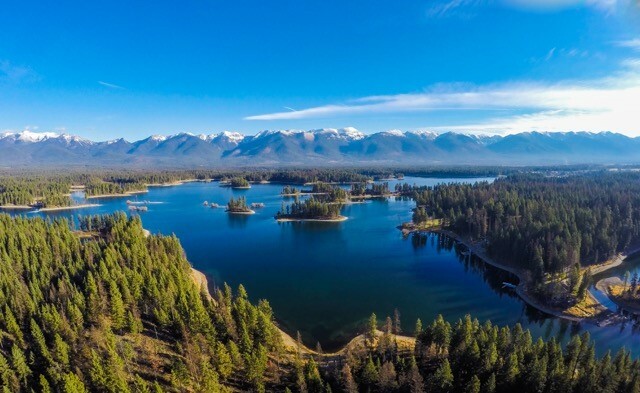 In addition to real estate taxes on this personal property, you’ll also have to pay the State of Montana an annual lease amount (ie rent payment) for the use of the land. These lease amounts currently range from about $5,000 – $12,000 per year depending on the market value of that particular piece of land. Lease rates are adjusted every 5 years based on the market value at that time.